SandraLiteracy Minute And now without further ado- my first! You might not be familiar with Goro Shimura and actually I wasn't either- until last night. I had a completely different quote planned for today but I felt like this one was speaking to me and so I changed it! Goro Shimura is a mathematician and he is speaking about his friend and colleague Yutaka Taniyama. The story goes that Taniyama, a mathematician, had a conjecture about a mathematical theorem but despite his best efforts could not prove that it was true. Eventually he was so haunted by this conjecture that he killed himself. The quote above is his friend reflecting on Taniyama's life. I heard this while listening to a TED talk and it really struck me. I began thinking about our students and the little thinkers that we help shape everyday. How do we encourage risk taking and problem solving. How do we let them know that it is a noble and righteous thing to make "good mistakes." I have a group of third graders that REFUSE to make a mistake. The panic and fear on their faces when I want them to "try and see" is both sad and disheartening to me. I am a natural risk taker and a firm believer in learning from mistakes but how do I get nine year-olds to take that risk? I don't have the answer- yet but I am committed to making sure my kiddos feel comfortable in our classroom that the consequences of a mistake don't seem as scary. 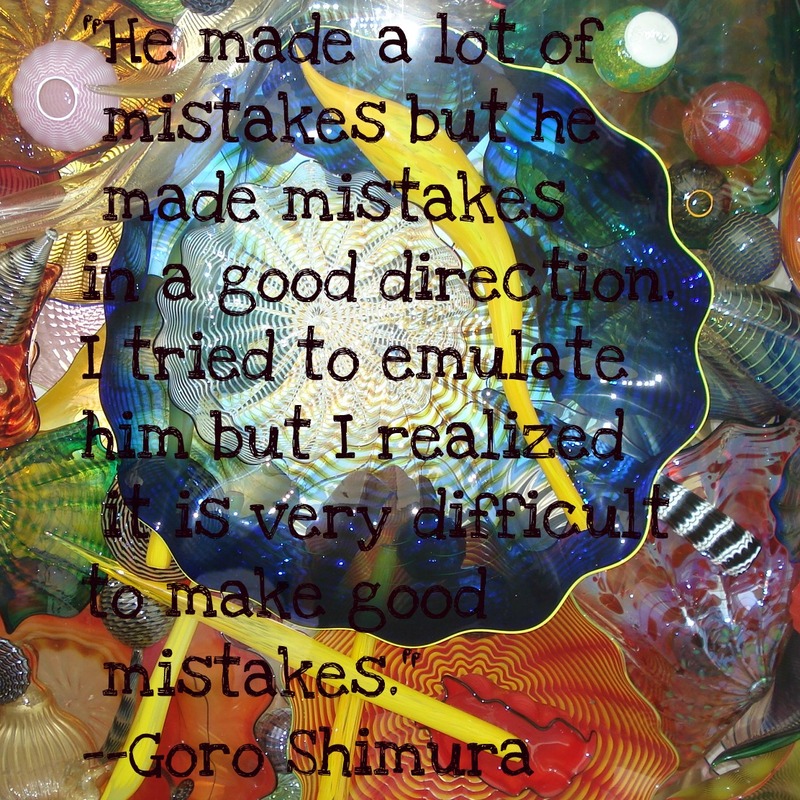 If you have some ideas about how to encourage "mistakes in the right direction" please leave me a comment! If this quote speaks to you- please leave a comment! 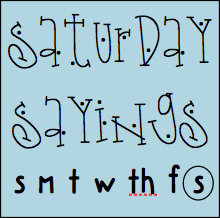 Don't forget to check out the other Saturday Sayings! Wow Julie! That's a powerful quote and post too. This reminds me of the book: "The OK Book" by Amy Krouse Rosenthal. It's basically about being okay with trying new things, knowing that you won't be great at all of them, but trying all these things will help you find the things that you're great at. Anyway, after reading it, we made our own OK classroom book. Again, what a great post. Thanks for joining me! That is powerful! We definitely learn from our mistakes and have to be sure our rooms are places where students feel okay to take risks. Thanks for that reminder! Great post Julie! Classrooms need to be safe zones where students can learn and grow! Maybe we need to model making mistakes! Besides, sometimes there is more than one answer! 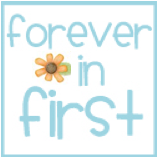 I just discovered your blog through Tammy's and am now your newest follower! I just love your Saturday Sayings! What a great way to reflect and inspire new thinking! I always encourage my students to try everything at least once. I tell them that it may not be something they like or something they're good at, but how will they ever know unless they give it a try? If they put forth 100% effort and give it they're best shot, that's all I can ask for. We can save the editing for another time. 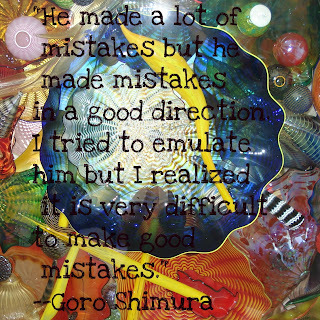 I like to remind my students, "It's okay to make mistakes... after all, that's how we learn best!" Chelsea, thank you so much for the thoughtful response! I am following you too!